Your answer is here that draft revised GST Laws explains the same under section- 12 (time of supply of goods) and section-13 (time of supply of services). Now moving further, we will discuss the provisions prescribed for point of supply. a) The date of issue of Invoice by the supplier. i) Movable -Before or at the time of removal of goods. ii) Immovable –Before or at the time of delivery of goods or making available to the recipient. c) Date on which the payment is entered in the books of account. d) Payment is credited in bank account. Now in proposed regime, its going to be very difficult to track exact date when payment is entered in books of account. 2. For Reverse Charge cases – You are aware about the reverse charge mechanism. This section explains the time of supplies in respect of which tax is to be paid by recipient of goods/services. a) The date of receipt of goods. c) The payment is debited from his bank account. d) The date immediately following 30 days from the date of issue of invoice by the supplier. It is imperative to note that law specifically provide that if it is not possible to determine the time of supply under above clause, the time of supply shall be the date of entry in the books of account of the recipient of supply. Now again its going to very difficult here, to track the exact date when the payment is entered in the books of account. 3. Supply of Vouchers– In Revised MGL a new provision has been introduced specifying time of supply in case of vouchers. This provision has been incorporated keeping in mind the increasing trend of vouchers given on online purchasing. a) If supply identifiable- The date of issue of Voucher. b) If other cases- The date of redemption of voucher. So If the vouchers are valid for a particular period of time, then the date of redemption of voucher will be the time of supply. 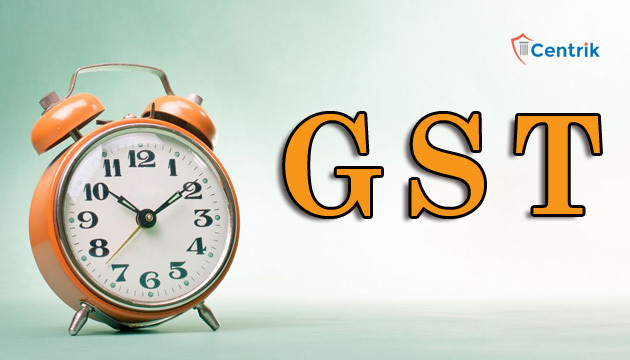 It is Important to note here that proposed GST law provide for general rule to figure out time of supply of goods if it is not possible to determine from above methods. a) Where periodic return has to be filled- the date on which such return is to be filled. b) In any other case- the date on which CGST/SGST is paid. After examining above provision accounted for determining “time of supply of goods”, it seems that revised MGL does not provide any provision for determining time of supply of goods in case of “continuous supply of goods” or “goods sent on approval basis”. In my opinion this means that the general provision given for normal cases would apply or later they will provide by notification. Hope you all find this article useful. Your feedback is important for us and we are looking for it.